The Pomsky, less commonly referred to as a Huskeranian, is a designer dog breed that is a cross between a Siberian Husky and a Pomeranian. The goal of this designer breed was to get the beauty and personality of a Siberian Husky down to a more manageable size for people who loved them and needed a smaller dog. Responsible breeders will use artificial insemination with a Siberian Husky female for safety due to the size difference of the two parent breeds. Although many people think of the Pomsky as a toy breed, this is not true, especially at the first generation level. An F1 (first generation) Pomsky should be somewhere between 17 and 30 pounds, which makes it a small dog breed, but not a toy-sized dog. Although the Pomsky is not recognized by the American Kennel Club, they are recognized by other official organizations like the Pomsky Club of America, International Pomsky Association, and more. Pomskies are cute and adorable comedians. They are small, energetic dogs with big personalities and a zest for life. They tend to be sensitive, affectionate, and thrive on being the center of attention, which fits well with their silly and playful antics. They get along well with children, but tend to be a better fit for older children. Because a Pomsky is a small dog, they can be easily injured by the accidental falls or rough play that can happen with younger children. They tend to make good watchdogs as they are alert and vocal. Both of their parent breeds are known to be quite vocal, so a Pomsky will let you know when they see something. Because they are so vocal, it’s important to start training early as they can easily become yappy and bark too much. Socialization early and often is important for any dog breed and can also help with this tendency in your Pomsky. Depending on the traits your Pomsky inherits, they could get the high prey drive and urge to chase and wander common to the Siberian Husky. A Pomsky is a highly adaptable dog breed. Although they are energetic, their small size makes them a good fit for apartments as well as larger homes as long as they get enough exercise, mental stimulation, and attention. Should your Pomsky inherit their Siberian Husky parent’s high prey drive, they should only be let off-leash in securely fenced areas. Pomskies also do well in most climates. Their thick coat makes them more tolerant of cold weather than many other dog breeds of a similar size. As with any dog breed, they are sensitive to heat and extreme cold. Because the Pomsky craves attention, they do not like to be left alone for long periods of time. As with any mixed breed, a Pomsky can inherit the health conditions prevalent in one, both, or neither of the parent breeds. In the case of a Pomsky, the potential health conditions to be aware of include cataracts, Corneal Dystrophy, hip dysplasia, patellar luxation, and allergies. 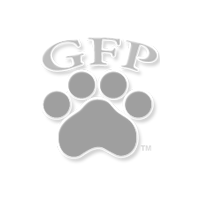 Asking the breeder about the genetic history of the parent breeds and to see any relevant health clearances or tests can help allay potential health concerns you may have. The Pomsky tends to be a moderately trainable dog. They are intelligent and pick up on things quickly, but they can inherit the stubborn streak common in Siberian Huskies, which can be a difficulty for first-time dog owners. Dog owners considering this breed should be prepared to enroll in puppy training and obedience classes. Pomskies also respond best to patient, consistent, and positive training techniques focused on rewards and praise. Although a Pomsky can look like a miniature version of a Siberian Husky, they can also have the Pomeranian coat colors or a combination of both parent breed coat colors. Regardless, they have a double coat and will need a lot of grooming and maintenance. Both of the parent breeds tend to be heavy shedders, so you should be prepared for the same in your Pomsky puppy. You will want to brush your dog’s coat every day to remove loose fur, keep your dog comfortable, and help control shedding. After all, if most of the loose fur is contained to a brush, there is less of it to get all over your home. Bathing them once a month is recommended. Getting them professionally groomed a few times a year will also help, especially as the seasons change where they will shed more than usual. In addition to coat care, you will also need to care for your Pomsky’s nails, ears, and teeth. Monthly nail trimming is usually sufficient to keep nails from getting too long and causing pain and discomfort. Checking your Pomsky’s ears weekly to ensure they are dry, clean, and free of debris and carefully cleaning them as needed can help prevent ear infections. Proper dental for dogs is also important in order to prevent painful dental diseases like gum disease and tooth decay. Using an enzyme toothpaste or brushing your dog’s teeth every day is ideal for preventing the tartar and plaque buildup that leads to dental disease. This is especially important for small dog breeds, like the Pomsky, as their small mouths tend to be more prone to dental-related issues. You can also talk to your vet about supplementing your efforts with dental hygiene chews or even a specially-formulated “dental care diet”. A Pomsky tends to range from moderate to high energy depending on which parent breed they take after more. Should they take after their Pomeranian parent, they will likely have a more moderate energy level. Should they take after their Siberian Husky parent, they will likely have a high energy level that requires much more activity. As a new Pomsky parent, you will have to be prepared to handle whichever energy level your Pomsky puppy may have. In general, daily walks plus some playtime and extra activity will be sufficient for these dogs. Be sure to explore different activities with your Pomsky to discover the ones they enjoy most. Depending on your dog, they may enjoy jogging with you, going on hikes, taking trips to the dog park, or even going for a swim. You could also try training them for dog sports like agility, flyball, obedience, and more. They may not be able to compete in official competitions as a mixed breed, but going through the training and activity could be something they enjoy. A fully-grown Pomsky usually stands 10-15 inches tall at the shoulder and weighs between 17-30 pounds. 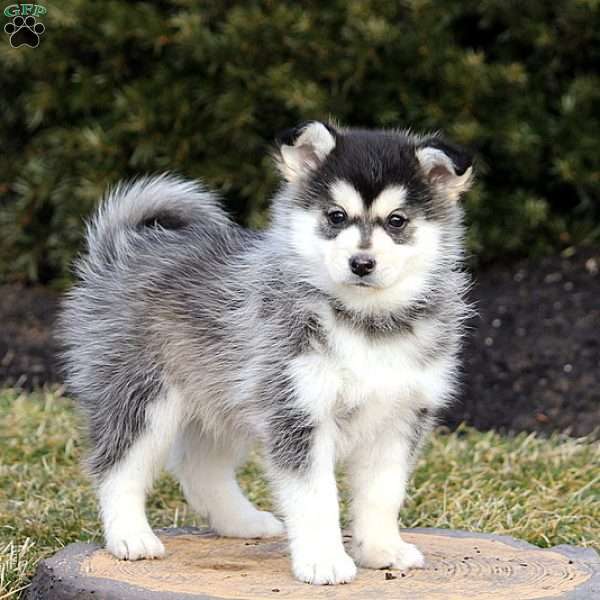 Because this designer breed is still developing, there can be some variation in size, especially in first generation or first generation cross puppies, so there is a chance your Pomsky could fall somewhere out of this range. Even at the larger and heavier end of the spectrum, a Pomksy should not be over 40 pounds when fully-grown. A Pomsky generally lives 12-15 years. The first recorded litter of Pomsky puppies in the United States was in 2012.